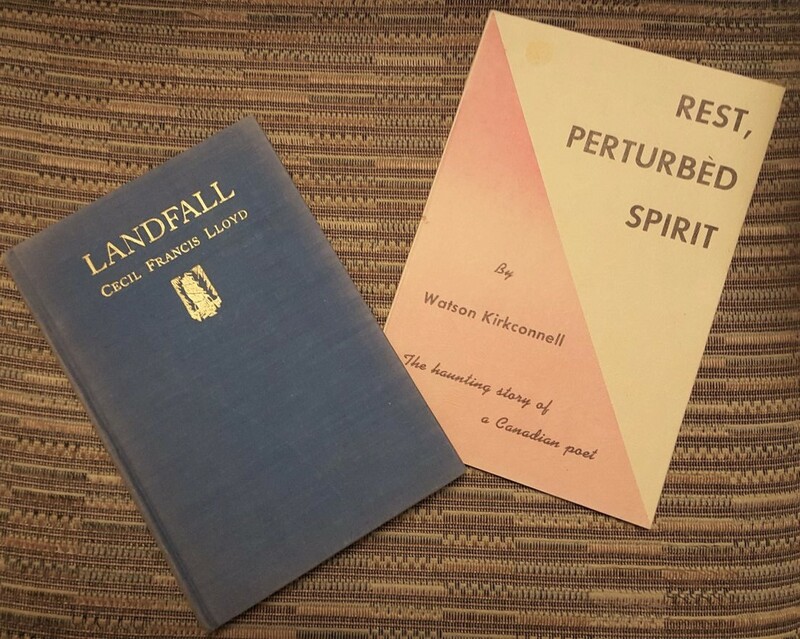 In August, I wrote about West End poet Cecil Francis Lloyd, who was just starting to be noticed on the national stage when he committed suicide in his Victor St. home in 1938. I found a signed copy of his last book, an anthology published by Ryerson Press, and one written nearly 40 years after his suicide by a friend still haunted by his death. "Landfall" (1935), is dedicated to his late wife: "A loyal comrade in many hard-fought battle and a gay companion in many a wild adventure of the spirit." 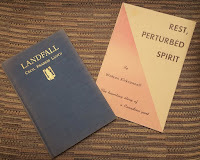 "Rest, Perturbed Spirit" (1974) by Watson Kirkconnell, contains passages from many of the letters the two wrote back and forth in the 1930s, including Lloyd's suicide letter that Kirkconnell received weeks after his death. For more about Cecil Francis Lloyd.